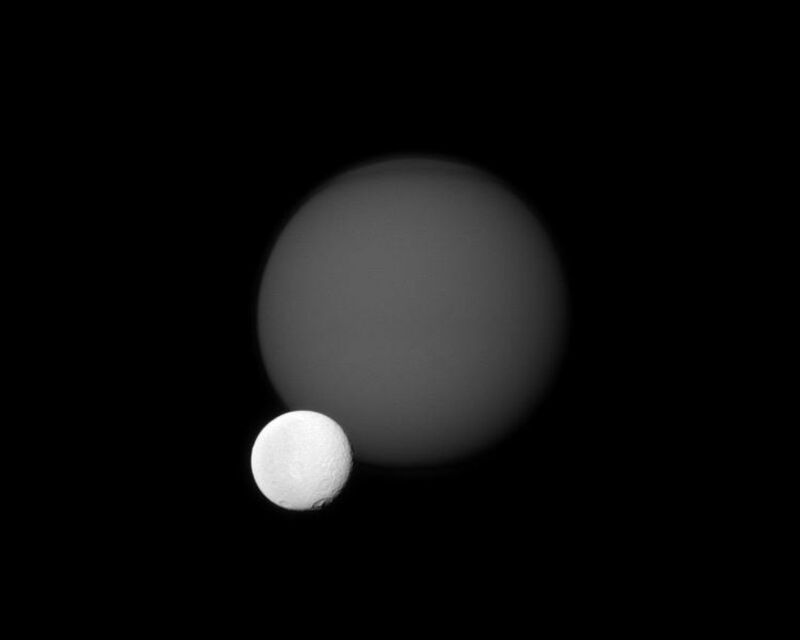 The Cassini spacecraft views the cratered surface of Saturn's moon Tethys in front of the hazy orb of the planet's largest moon, Titan.Tethys (1,062 kilometers, or 660 miles across) is much closer than Titan (5,150 kilometers, or 3,200 miles across) to Cassini. 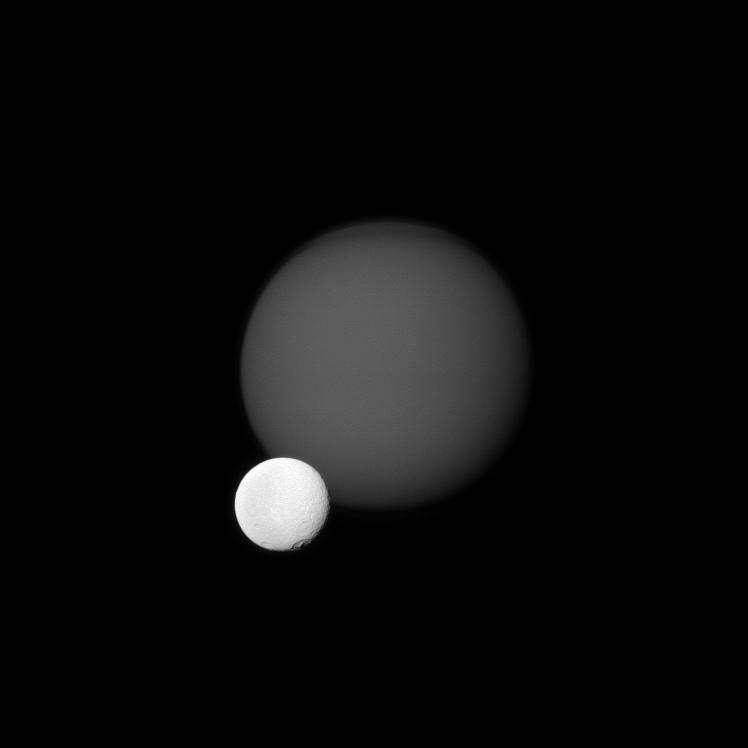 This view looks toward the Saturn-facing side of Titan and toward the area between the trailing hemisphere and anti-Saturn side of Tethys. Saturn is out of the frame, far to the left. The image was taken in visible green light with the Cassini spacecraft narrow-angle camera on July 14, 2011. 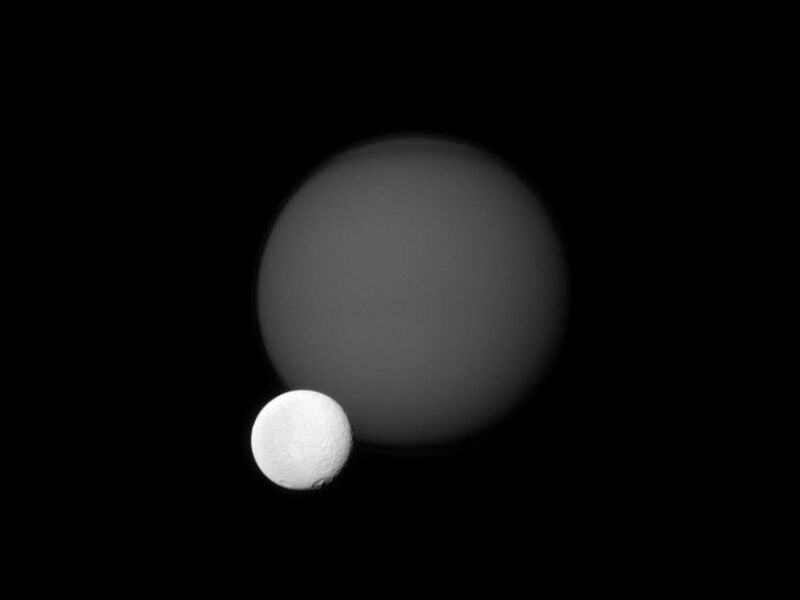 The view was acquired at a distance of approximately 3.2 million kilometers (2 million miles) from Titan and at a Sun-Titan-spacecraft, or phase, angle of 18 degrees. Image scale is 19 kilometers (12 miles) per pixel on Titan. 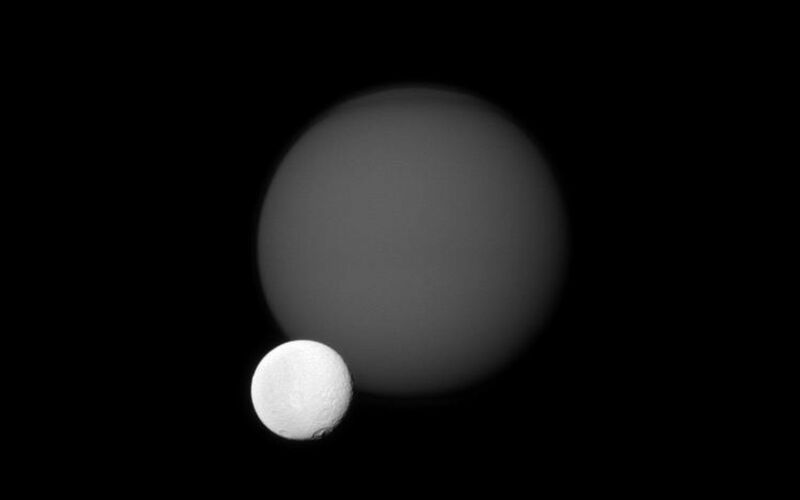 The view was acquired at a distance of approximately 1.9 million kilometers (1.2 million miles) from Tethys and at a Sun-Tethys-spacecraft, or phase, angle of 18 degrees. Image scale is 11 kilometers (7 miles) per pixel on Tethys.